Modern interiors are just the beginning at Ventana Canyon in Northwest Albuquerque. This pet-friendly community has created an ambiance of relaxation and comfort with resort-style amenities that await you on the beautifully landscaped grounds. Bask in the sun beside the heated swimming pool with comfortable lounge seating and grilling stations. The state-of-the-art fitness facility is ready for your next workout, and the modern business center provides the ultimate in convenience for your home office needs. 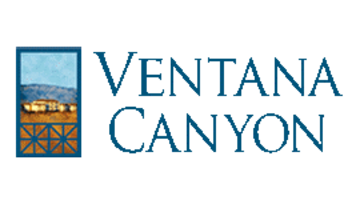 Your home should conjure feelings of tranquility and cheer, which is why the stylish apartments at Ventana Canyon in NW Albuquerque hit the mark with well-designed features and high-end finishes. The full suite of energy-efficient appliances includes an in-home washer and dryer set. The gourmet-style kitchens were crafted with plenty of cabinet and counter space, while the walk-in closets found in every floor plan keep your home free of clutter. The private patio or balcony extends your living space into the outdoors. Pet policy: We welcome 2 pets per apartment home. Cats and dogs are welcome. No weight restrictions. There is a one-time non-refundable pet fee of $250 per pet. Monthly pet rent is $35 per pet. Please call for complete pet policy information. Parking Comment: Carport parking available. Please contact our leasing office for more information about our Parking Policy.